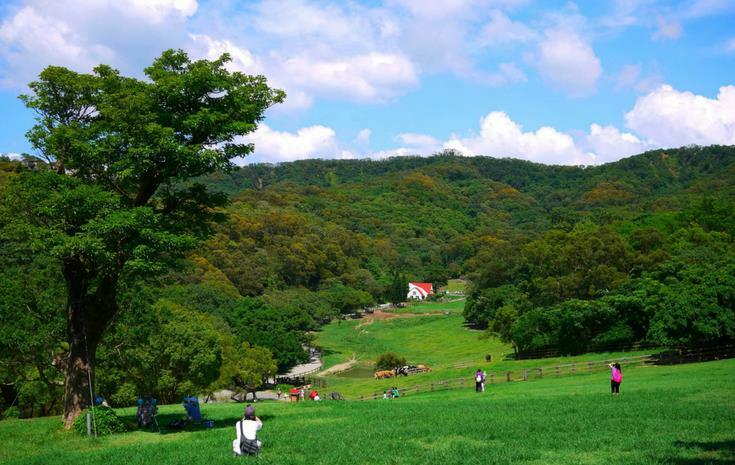 Flying Cow Ranch, located in Tongxiao Township, Miaoli, is spread over approximately 50 hectares. In fact, if the dairy farm and grazing fields are included, the ranch extends to about 120 hectares. Flying Cow Ranch is an expansive farm with a wide range of facilities and activities.You can interact with dairy cows, mountain goats, horses, and rabbits at the Animal Farm and can milk cows or feed little sheep, bunnies, and calves. Or you can visit the Butterfly Area for a guided tour on the life and behavior of butterflies.<br/><br/><br/>The Production Area houses various types of dairy products, organic flowers and plants, and organic vegetables. There are also livestock products and forage grasses produced by the farm. You can have a picnic, barbeque, fly kites on the grass, or watch wild ducks relaxing in the pond.<br/><br/><br/>Flying Cow Ranch also offers many DIY activities such as butter churning and ice cream making. You can also write messages in a bottle, make milk cookies and sponge cakes, and paint cows.If you get tired, take a break at the Lohas Restaurant, Red Barn Restaurant, or Fast Food Restaurant for delicious Chinese and Western foods.